HOUSTON (Dec. 20) — The first year of Shirley’s Kids, the 501(c)(3) charity bearing the name of NHRA drag racing legend Shirley Muldowney, was a huge success with seven children and their families being helped through the generosity of charity founders Stan and Sheila Holt and several corporate and individual sponsors. Started as a way for Muldowney to show appreciation for the less fortunate among her legion of drag racing fans, Shirley’s Kids easily lived up to its goal of helping children in need at traditional stops along the NHRA Mello Yello Drag Racing Series. 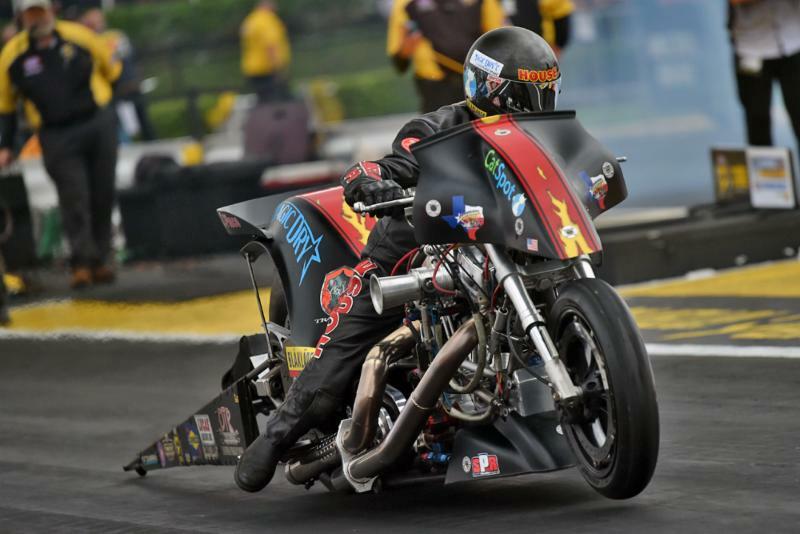 Even with Muldowney sidelined for a few months due to her own health concerns, lives were definitely changed and the organization already is making big plans for 2017 and beyond. “This has exceeded all my expectations,” Muldowney said, “and yet there is so much more we’d like to do. I’ll tell you, Stan and Sheila Holt, Nicci Gustavus, Frank Bellini and my wonderful agent Rob Geiger, they all put in a lot of work, countless hours of work, to make this happen. My job was easy, and a lot of fun, because there is nothing I cherish more than helping little children that need a lift in life. The first “Shirley’s Kid” was 12-year-old Jaeden Rossman, who is battling cystic fibrosis. He joined Muldowney for a special day at the Amalie Gatornationals in Gainesville, Fla., with Amalie assisting with a $5,000 donation to the Rossman family. Next was the instantly-lovable Kevin Bean, a 6-year-old from Charlotte, who had just completed a round of chemotherapy to help fight brain cancer. He also received $5,000, this time with the help of IDG. 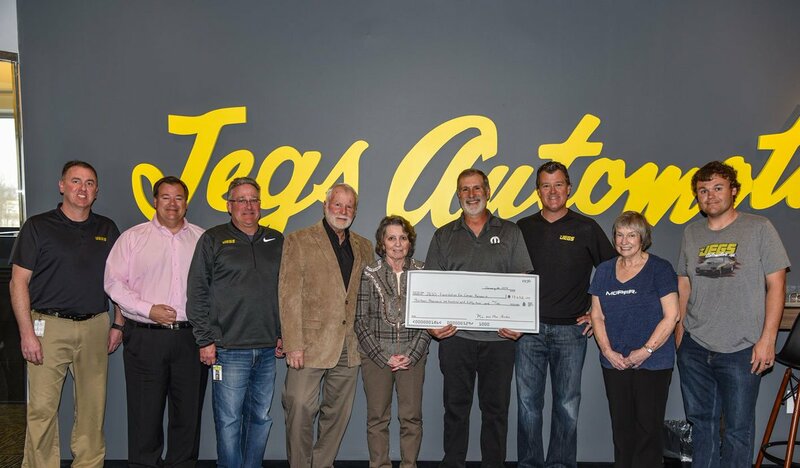 Along with hometown giant Pennzoil, and the Deacons of Deadwood Motorcycle Club, a 200-member strong charitable riding group in Houston, Muldowney was able to give 16-year-old Tacey Raulerson and her family a whopping $10,000 to help them retrofit their home. Tacey lost her sight due to a tumor so the Raulerson residence needed some structural adjustments, which they were able to do after Shirley’s Kids funded the project. In Atlanta, Shirley’s Kids and sponsor Goodyear were able to offer some fun and $5,000 of financial relief to Robert Tocher, the son of drag racing journalist Ian Tocher, who was severely injured in a top-end crash in Rockingham, N.C.
Just before the Denver race, JEGS High Performance stepped up as a major sponsor of Shirley’s Kids, and six-time world champion Jeg Coughlin Jr. himself helped present 4-year-old Silas Kline and his family with $5,000. That money will be used to help defray the costs associated with home schooling Silas, who is autistic. In Indianapolis, 9-year-old Dakota Bierman-Ulm, who had just been released from Riley’s Childrens Hospital, where he had been recovering from injuries suffered when his family’s house burned down, joined Muldowney for a fun-filled day at the track. The family also received $5,000 to help replace many of the items Dakota lost to the fire. The season of giving concluded in Dallas with the help of Buddy Woods’ Sunset Performance Racing Engines and Danny Nelson’s Racecraft Chassis. Local hero Trenton Tyer, who suffers from Perthes Disease, a rare childhood condition that affects blood flow to the hipbones, was a crowd favorite as he and Muldowney took the stage during driver intros. The Tyer family was then surprised to receive a check for $5,000 to help them with medical expenses. “Aside from helping the kids financially, I think they all had really fun days at the races,” Muldowney said. “And the professional drivers, all of them, made such an effort to say hello and spend a little time with our honored guests. Those kids got more autographs and hats then they knew what to do. It was so much fun. Our hope is we relieved their suffering a little and let them know that all of us in the drag racing family love them and want them to get better. On the media side of things, Dave Bowen of Let’s Race Magazine has pledged his publication’s support in 2017, which will include stories on each future “Shirley’s Kid” along with advertising to help raise awareness for the charity. Shirley’s Kids supporter Jeg Coughlin Jr., Shirley Muldowney and Sheila Holt present Silas Kline and family with a check for $5,000.